Thornbridge outdoors is beautiful; it is old, rocky and woody. As soon as the gateway appeared through the trees I was impressed! I was so excited! The facilities are lovely and the bedrooms are, well, hotel style! I feel really independent and happy. The foods delicious and a great thing to have after a big day in the fresh air. I can't explain how good the activities are a specially the sky ropes. I'm in Thornbridge Outdoors Centre and it is soooooooo good! It is very pretty, homely and inviting and the facilities are really clean, the weather also way hotter than I'd expected, it's lovely! There are so many activities, Low Ropes, Orienteering, Cargo, Dream catcher Making, Sky ropes, Den Building, Bouldering and Problem solving. 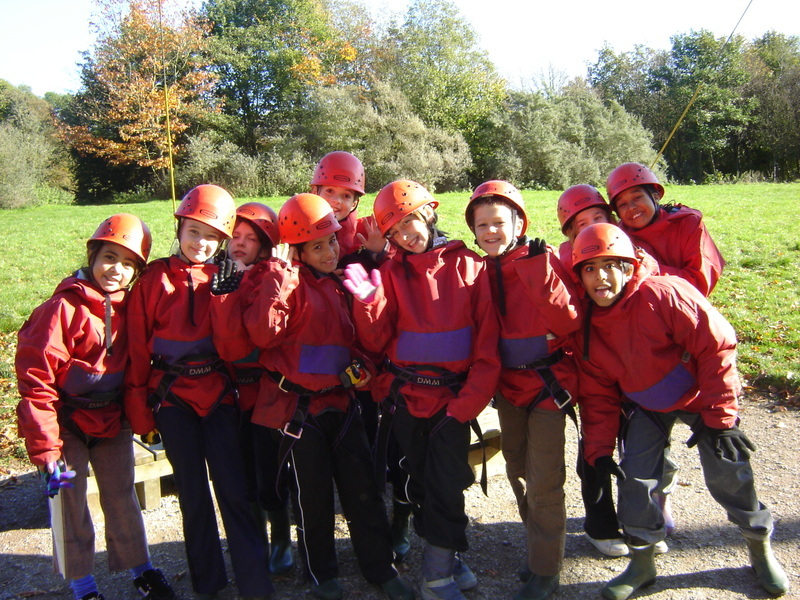 My favourite activity was Sky Ropes and I got to go round 3 times, I helped Billy the first time, Georgia the second and Mr. Boulton the third, it really is a fab activity! Everybody here is really nice and encouraging, the food is also really nice, I preferred the Chilli to the lasagne though (yum, yum, in my tum!). It's really good here at Thornbridge, wish you were here!